The passing of Justice Antonin Scalia, one of the most influential jurists of our time, has brought a wave of speculation about current and future U.S. Supreme Court cases. The public attention regarding his replacement mostly focuses on politically charged issues and their ramifications on a presidential election campaign. One less publicly invigorated area of the law that may be affected is patent protection for business methods and computer programs. Although not a concern for the talking heads of CNN or MSNBC, it deserves consideration by the intellectual property legal community. Viewed broadly, most Supreme Court IP cases in recent years featured a unanimous or nearly unanimous Court. Justice Scalia normally sided with the majority in these IP decisions. However, about half of his dissents occurred in the last three years. 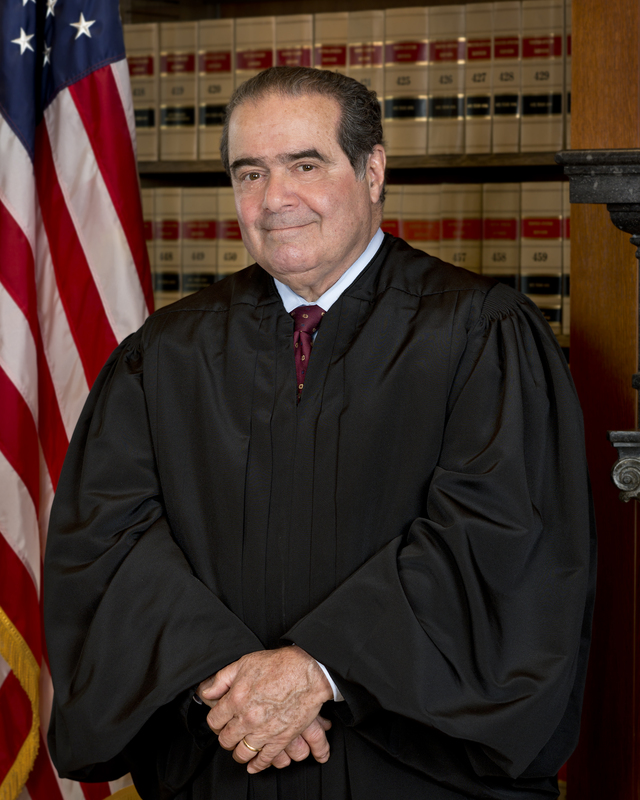 Justice Scalia did not often write a majority opinion in IP cases. There were only two in the last 10 years. His most influential IP opinion concerned the declaratory judgment standard in patent cases. MedImmune Inc. v. Genentech Inc., 549 U.S. 118 (2007). Despite the general conformity within the Court on IP issues, there was a clash on whether business methods are patentable. In Bilski v. Kappos, 561 U.S. 593 (2009), the Court unanimously rejected the patent claims as covering an abstract idea and, thus, falling outside of the scope of 35 U.S.C. § 101. A close reading of the majority and concurring opinions shows that there was a 5-4 split on the whether any business method patent claim should be considered patentable. Further, Justice Scalia was arguably the deciding vote. Justice Kennedy wrote the majority opinion in Bilski, in which Justices Roberts, Thomas and Alito joined. Justice Stevens filed an opinion concurring in the judgment, in which Justices Ginsburg, Breyer and Sotomayor joined. Justice Scalia joined in the Kennedy opinion, but chose to differ on two points within the opinion. Recognizing the divide, Justice Breyer (joined by Justice Scalia) filed a concurring opinion outlining the areas where there was agreement amongst the Justices. Justice Kennedy rejected the notion that business methods are categorically excluded from the meaning of “process” under 35 U.S.C. § 101. The opinion, instead, asserted that only abstract ideas were historically excluded from patentability. In contrast, Justice Stevens’ opinion argued that all business method should be unpatentable based on the intent of the Framers, and the history of British and American law. As noted by Justice Breyer, overall the agreement within the Court was essentially that patentability does not extend to anything that produces a useful, concrete, and tangible result. The two points where Justice Scalia took exception to the Kennedy opinion in Bilski each appear to be minor in nature. Although, on those two points he was in agreement with the Stevens group, partially shifting the 5-4 split. Justice Scalia coupled these exceptions by joining Justice Breyer’s outlined points of agreement. Notably, no other Justice chose to join in. Justice Stevens’ retired in 2010. Hence, the group that categorically opposed business method patents is no longer intact and we do not yet know how Justice Kagan, who replaced Justice Stevens, will rule on this particular issue. However, the Court with Justice Kagan has addressed the patentability issue. The Court unanimously held in Mayo Collaborative Services v. Prometheus Laboratories, 566 U.S. ___, 132 S.Ct. 1289 (2012), that correlation between drug dosages and medical treatment did not become patent eligible when linked with standard tests. In Association for Molecular Pathology v. Myriad Genetics, 569 U.S. ___, 133 S.Ct. 2017 (2013), a unanimous Court held that a naturally occurring DNA segment is a product of nature and is not patent eligible merely because it has been isolated. Further, the Court reiterated in Alice Corp. v. CLS Bank International, 573 U.S. __, 134 S.Ct. 2347 (2014), that basic business methods implemented by computers are not patentable. As such, it would appear that the divide in the Bilski decision has not prevented the Court from acting in unison on patentability. In an interview on CNN not long ago, Justice Scalia said that the most difficult decisions for him to participate were the dull cases, providing patents as an example. In reality, he never glanced over details within patentability related decisions. In Myriad, Justice Scalia concurred in part in an otherwise unanimous decision. The briefly stated reason for the exception was his personal inability to confirm the applicable molecular biology. Although Justice Scalia was not active in the battle over IP in general, one cannot infer a lack of fervor for finding an acceptable dividing line within any related decision. The Court’s post Bilski decisions appear to define the edges of patentability. It is not certain that the Court again will be asked to decide on the full scope of patentability for business methods. If so, Justice Scalia’s replacement may help to draw the line in a different position. Thomas J. Durling serves as chair of the Flaster Greenberg’s Intellectual Property Department. He has more than 30 years experience handling business and intellectual property issues, with a focus on patent and trademark procurement, merger and acquisition due diligence, business agreement negation, intellectual property litigation and client counseling. He can be reached at 215.279.9902 or thomas.durling@flastergreenberg.com. For more information on FG’s IP practice, including job opportunities, click here or visit www.flastergreenberg.com. ← Quickie Union Elections: The Results are In!